If we say we’re going to do something, we’ll get it done. Nothing less. Ron Winer is a Partner at W3 Global Accounting. While attending college, Frank P. Bevilacqua, the two decided that they would someday own a CPA firm together. After graduating, Ron spent nine years at another CPA firm before starting Winer+Bevilacqua (now W3 Global Accounting) in March 1980. Ron specializes in representing healthcare professionals in practice management, tax and budget planning, systems analysis, year-end planning, office efficiency, coding analysis and contract evaluation. He also works closely with the firm’s dental clients and consults on practice efficiencies and other financial management services. Ron has developed a practice management conference lecture series at residency programs throughout Northeastern Ohio. He is an active lecturer at various statewide physicians’ conventions and has been a participant in a citywide lecture series since 1971. He has spoken and continues to speak at many conventions and state and local conferences, including the National Surgical Convention for Podiatrists and the National Convention of Emergency Room Physicians. Ron currently lectures at Northeast Ohio Medical University (NEOMED) on tax planning during their residency years. He has also been a guest on numerous television programs over the years in which he spoke about the physician as a businessperson. For 25 years, Ron taught a 30-hour course in practice management to residents at St. Elizabeth’s Hospital and Forum Health in Youngstown. Five other area hospitals utilize Ron as one of their staff practice management consultants, including the anesthesia and pediatrics departments of Cleveland Clinic. 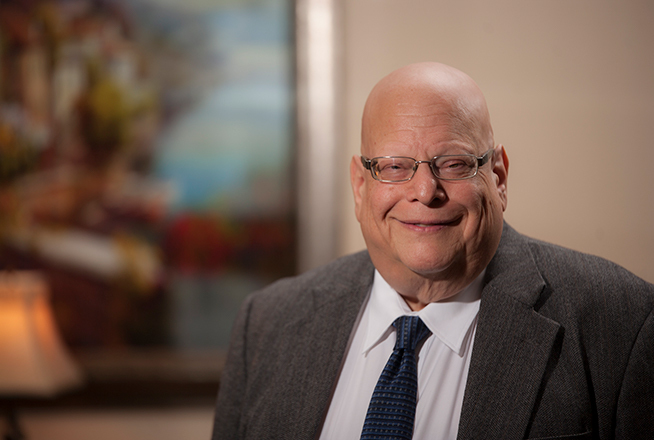 Ron served on the faculty of Akron General Medical Center’s Westside Family Practice Center residency program for 10 years as the Associate Director for Practice Management. He has taught many classes for medical office managers on becoming better office administrators, and was the recipient of the coveted “Golden Apple” award from the residents of the Westside Family Practice Center for Teacher of the Year. He was the first non-physician recipient in the award’s history. Ron is the author of Practice Management for the Physician, a compilation of business data, statistical charts and important guidelines outlining the business aspect of medicine for the physician. This workbook has helped thousands of health care professionals who are setting up practice or who have already established their practice enhance their knowledge and skills running their practice as a business. The book is now in its sixth edition. Ron graduated from The University of Akron with a Bachelor of Science in Accounting. He has served on the advisory board of consultants for the American Academy of Family Physicians. He is the former treasurer of the Akron Advocates for the Visual and Performing Arts (AAVPA) and was the head bowling coach for the Lady Irish bowling team at St. Vincent-St. Mary High School. Ron currently serves as the President of Temple Israel in Akron, Ohio.